QUESTION: I fully agree with what you said (The Truth is in Your Heart??? ), guru is a necessity. But I would like to ask what has to be the qualities of guru? In our days we can observe commercialization of spirituality. How can we differentiate a false, commercial guru from a genuine guru? Actually, we don’t have to differentiate. All we have to do is want. But the truth is that wanting is even more difficult than knowing or differentiating. A genuine guru will do things to our ego and self-concept that frighten and threaten our conditioned mind and emotions. A genuine guru will expose just how infinitely deep our ignorance is. Who really wants that? If someone does really, truly want a genuine guru, Krishna will make sure they meet one. When we only pretend to want a genuine guru, Krishna makes sure we only meet gurus who pretend to be genuine. So, the quest for a genuine guru is not really about “guru shopping” or “guru litmus tests.” It is about purifying our own desires and wants. 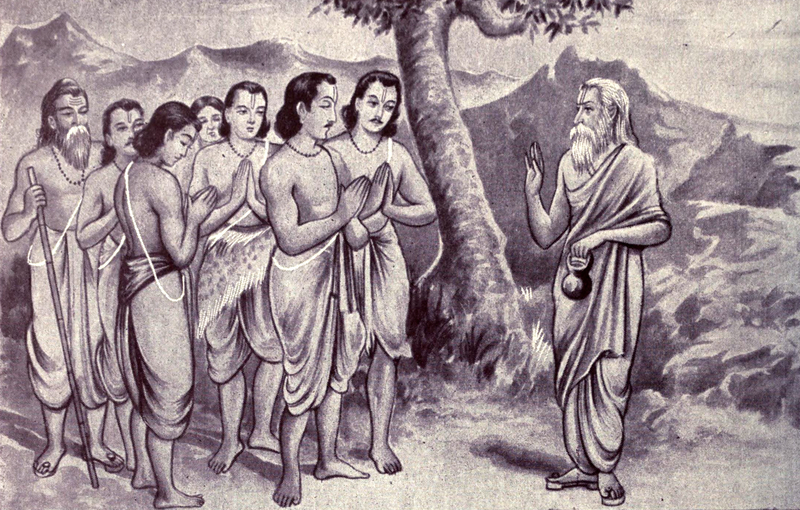 Gītā gives a summation of the qualities of a genuine guru: Krishna says the guru is tattva-darśi – he or she has darśan of the tattva he or she purports to teach. Darshan means direct experience. It means actually seeing and feeling and experiencing their subject (be it brahman, bhagavan, or drums). The guru is not just a repository of ideas or theories. Books are the repository of ideas and theories. The guru is the one who realizes how the ideas and theories actually work. This does not mean the guru does not study books! That is one of the biggest shams and farces around these days. How will the guru understand how the ideas of the Vedas actually work, if he or she doesn’t diligently and thoroughly study them and attempt to apply them to the real world!? So the main qualification is that Guru must understand the Veda (brahma). They must understand it so well that they can actually see it, and be saturated by it (brahma-niṣṭha). They must themselves have learned it from such a guru (śrotriya). When we really want a genuine guru, we meet this person. When we want something else we meet others, who rarely even mention the Vedas, or twist it with their own self-serving ideas and interpretations which have no paramparā, and play to our own ego and ignorance for the sake of securing their own rice and dahl at the end of the day. QUESTION: In each birth does the living entity start from the same point in the spiritual path? Or is spiritual capital somehow accumulated? Don’t forget the discussion between Krishna and Arjuna at the end of Chapter 6. Krishna explicitly says there that you quickly and rather effortlessly pick up things you have already accomplished in previous lifetimes. This is especially true for adhyātmika things (spiritual things), such as your progress in karma, jñāna or bhakti-yoga. Everyone starts each life as a baby, not even knowing how to talk, but some people learn guitar in 5 days, others can’t learn it well even after 50 years of trying. The quick learner has aptitude because in previous lives s/he was the slow learner. Since you are carefully studying Gītā in this life, in your next life, the first time someone mentions “Bhagavad Gītā” you will immediately have a sense of what it is about, and will be drawn to it. Then, as soon as you read just a few words, you will start remembering everything you’ve learned in this class. If you practice a mantra in this life, in the next life you will quickly find it again, and all the effort you made to understand it in this life will very quickly come back to you in the next. The “bank” holding this capital is your manas, mental self. Previous The Truth is in Your Heart?? ?